I heard on Radio 4 this morning the story of a man who was a 'foundling' having been left on a street during World War 11. 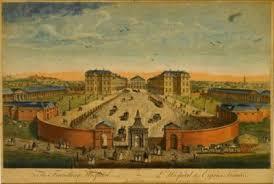 Not knowing much about foundlings I researched and found the following information. Foundling is an historic term applied to children, usually babies, that have been abandoned by parents and discovered and cared for by others. 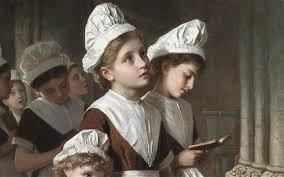 Abandoned children were not unusual in the eighteenth century when the Foundling Hospital was established. In Europe where Catholic-run institutions had been caring for orphans and foundlings from as early as the thirteenth century, the UK relied on the Poor Law to cater for needy families at a parish level. 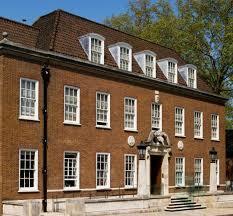 By the Early 1700s the situation for struggling parents was particularly acute in London. Mothers unable to care for their children as a result of poverty had few options, leading some to abandon their babies on doorsteps or outside churches or even on rubbish heaps. This was the situation that confronted Thomas Coran on his return form America in 1704. It took him seventeen years of dogged campaigning before he finally received a Royal Charter enabling him to establish a Foundling Hospital ' for the care and maintenance of exposed and deserted young children'. Today, access to contraception, State support for families on low income and changed attitudes to illegitimacy mean that child abandonment is very unusual in the UK. But in China it had been estimated that 10,000 children are abandoned every year. So hard to understand how anyone could abandon a child. The China statistic is frightening.